Allows investor (read only) password for source (master) account. Download "Reverse TradeCopier source" and run it on master terminal (source account). 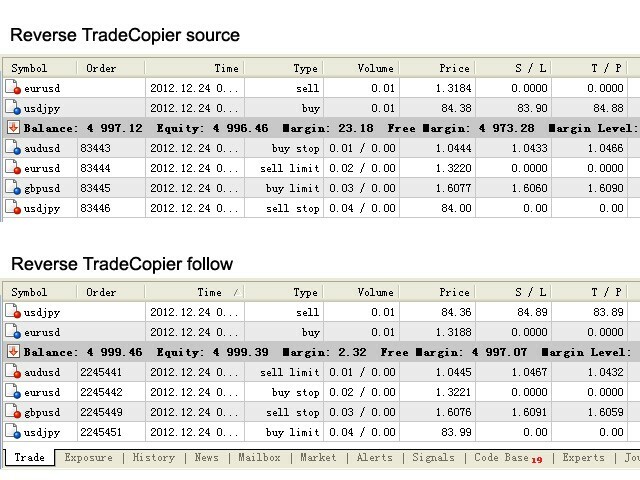 Download "Reverse TradeCopier follow" and run it on slave terminals (following accounts). Be sure to allow AutoTraing. Update for the filling type of orders.